Tenino's Sweetheart! 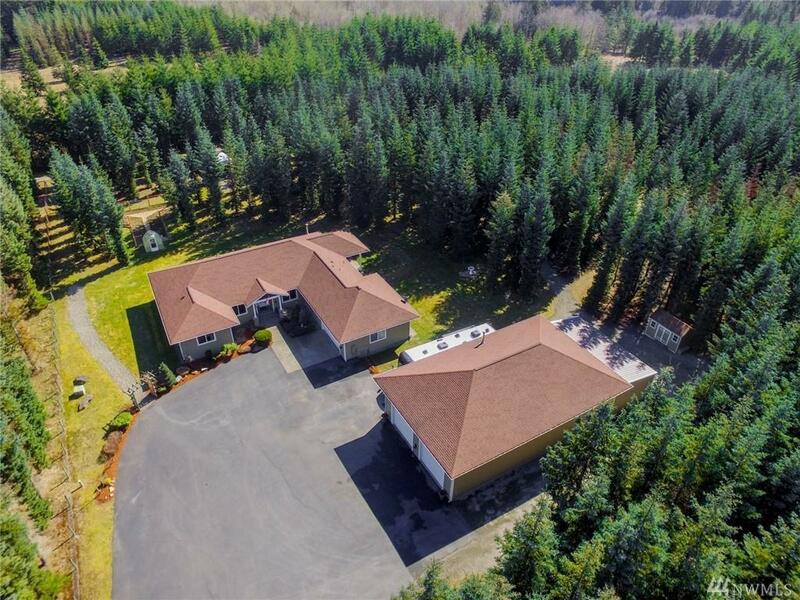 Relish in the seclusion of your shy 5acre parcel, nestled in the trees. It has it all! 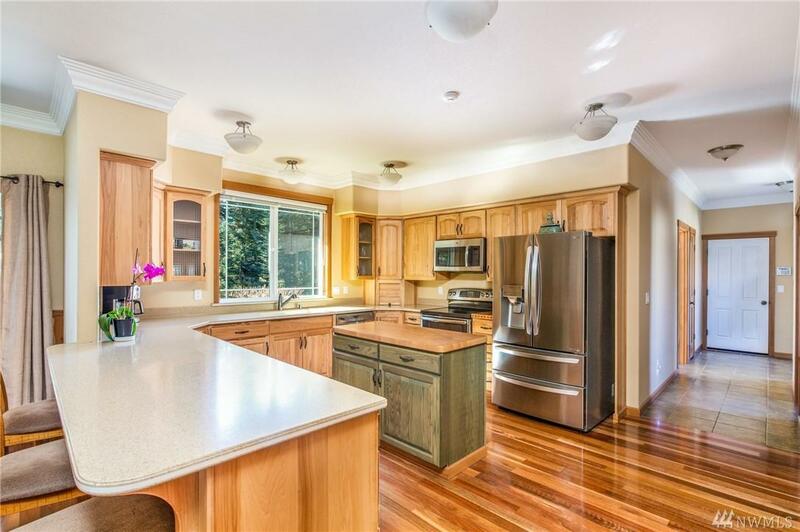 Formal Living & Dining rms, Family rm, open Kitchen, & office/den. Not to mention the 50yr roof, knotty pine tongue&groove vaulted ceilings, tiger wood flooring, & crown molding. Attached garage combines with HUGE 2,000+ sq ft shop plus 400+ sq ft workshop for a total of 12 covered parking spots. 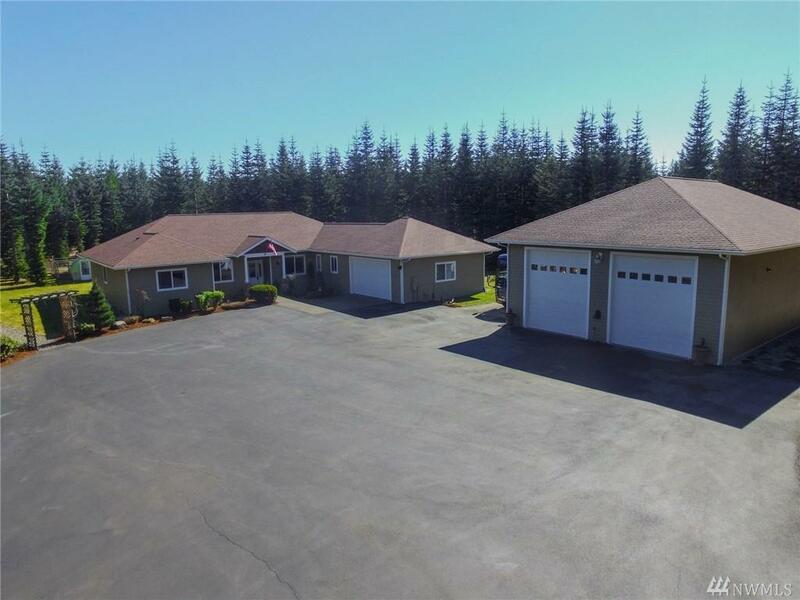 Meticulously maintained grounds include chicken coup with run, garden space & bee hives.